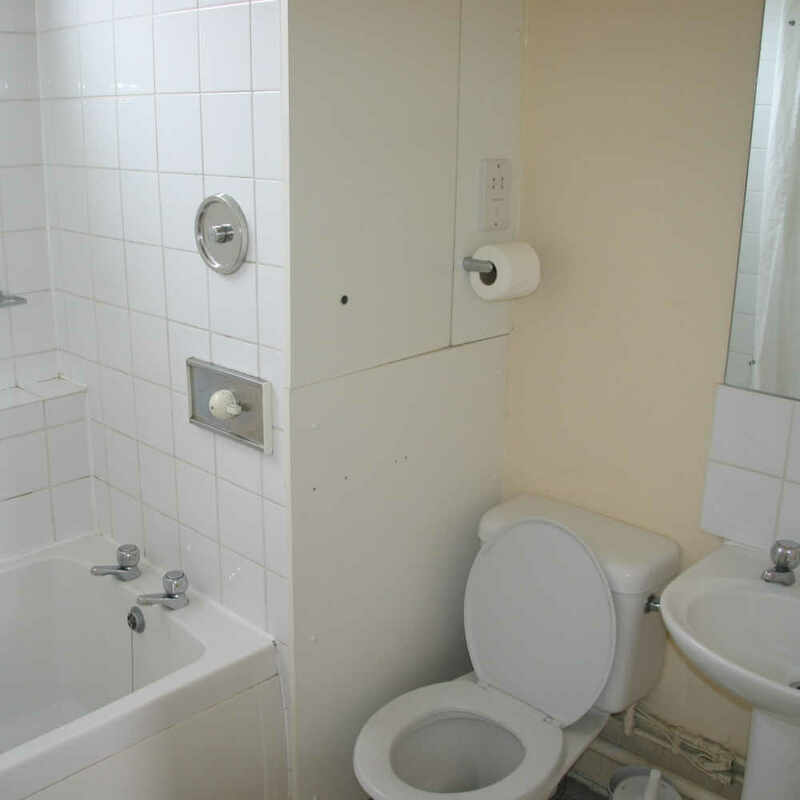 Four category levels of self-catering apartments are available. 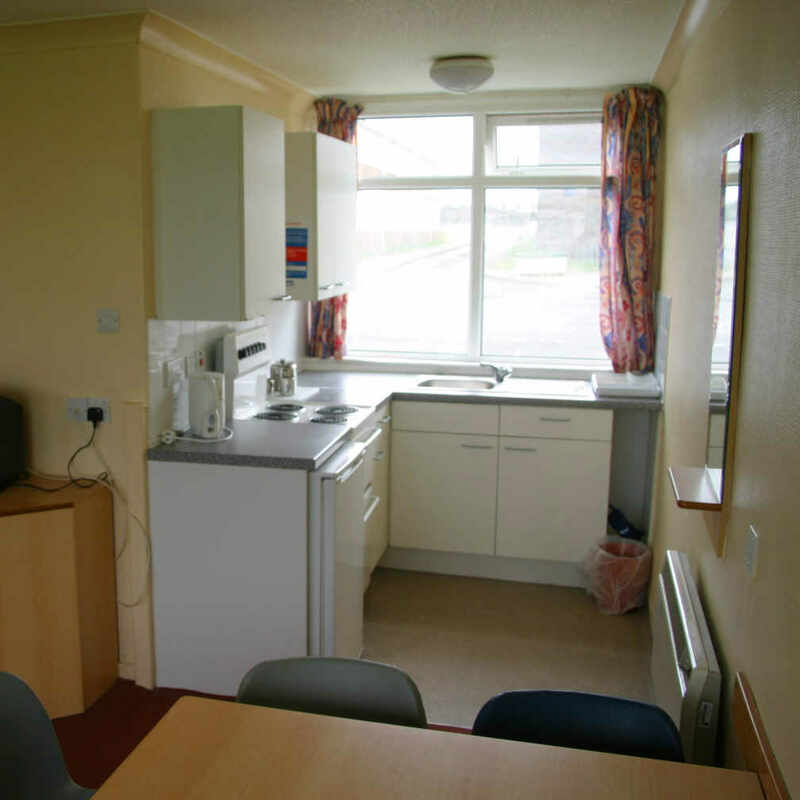 The levels of accommodation include different features, but in general the standard is plain and basic and are of various proximity and walking distance to entertainments. 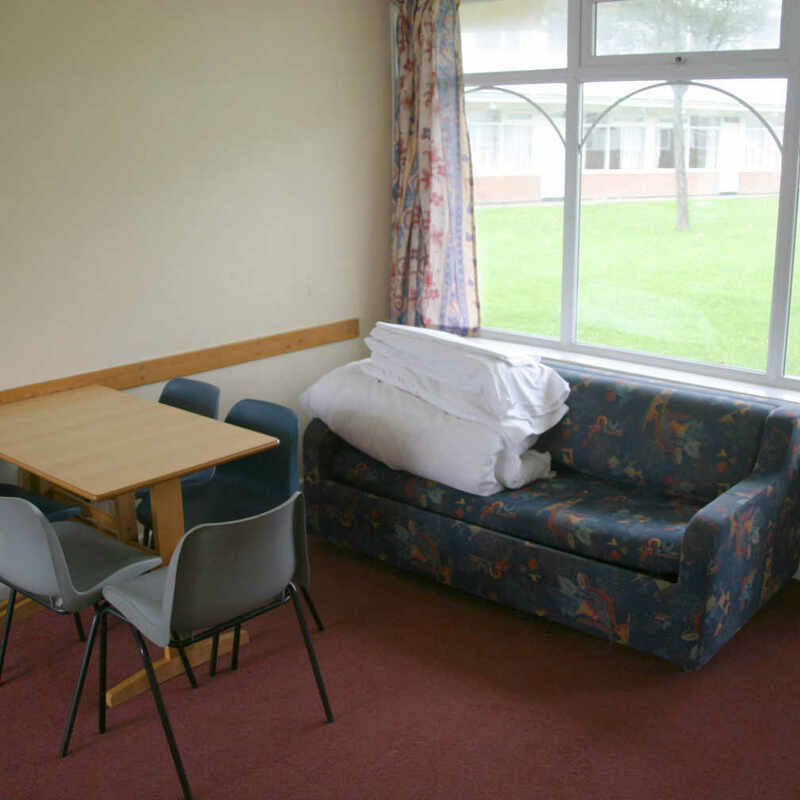 Budget - Great value very basic accommodation in various proximities to entertainments and approximately 3-6 minutes walk to entertainments. (Option: A). 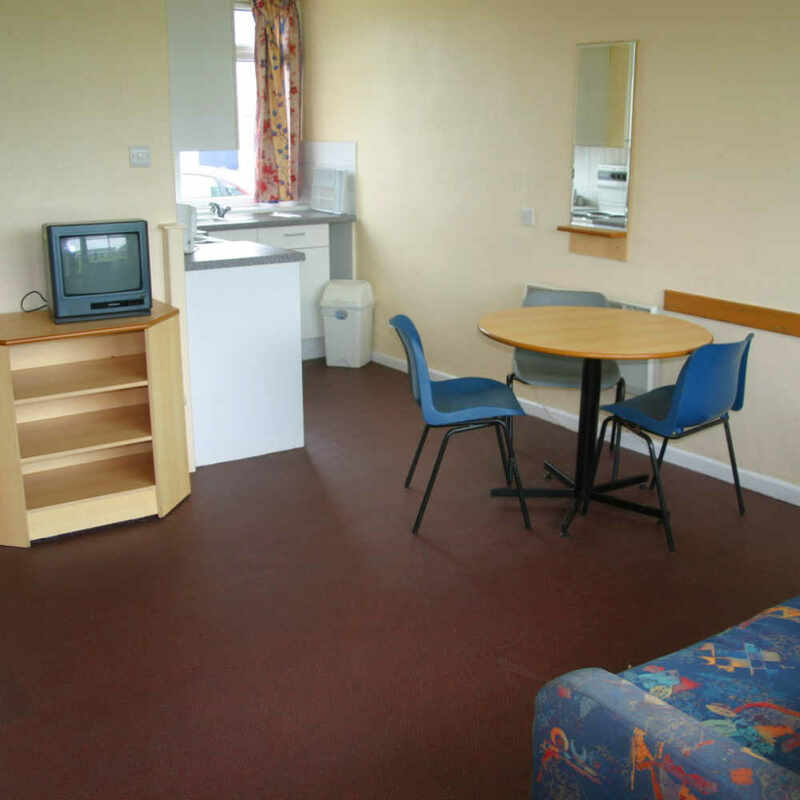 Classic - A Mid Standard of Pontins accommodation in various proximities to entertainments and approximately 3 - 5 minutes walk to entertainments. (Options: B, C, D, E,& F). 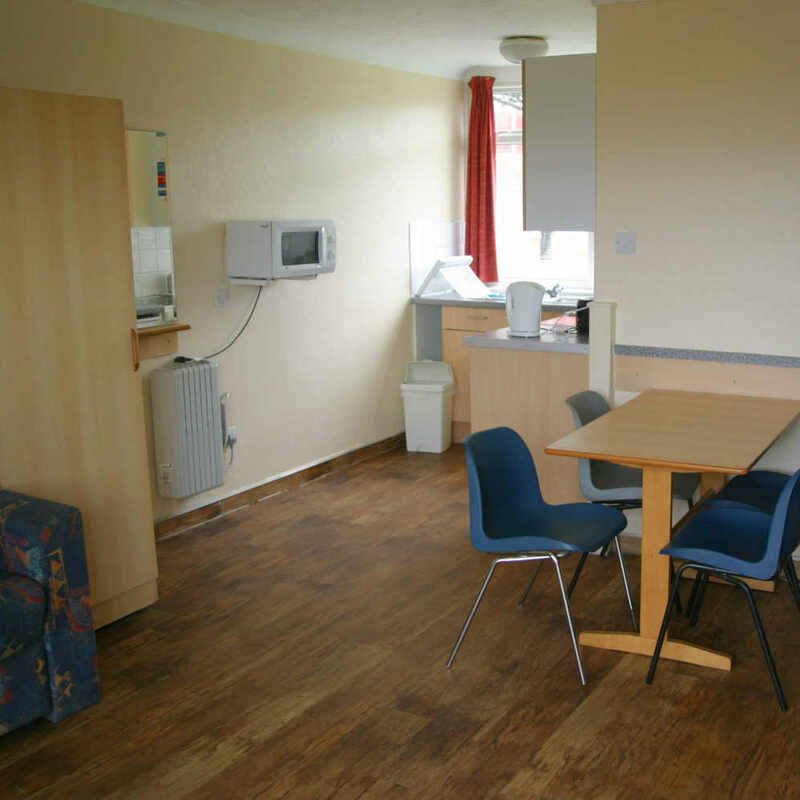 Classic Plus - A Mid Standard of Pontins accommodation in closer proximity to entertainments and approximately 2-3 minutes walk to entertainments. (Options: G & J). Note: Classic Plus may be more expensive than some Club options. This reflects the location of the Classic Plus apartments in relation to the main Entertainment buildings. 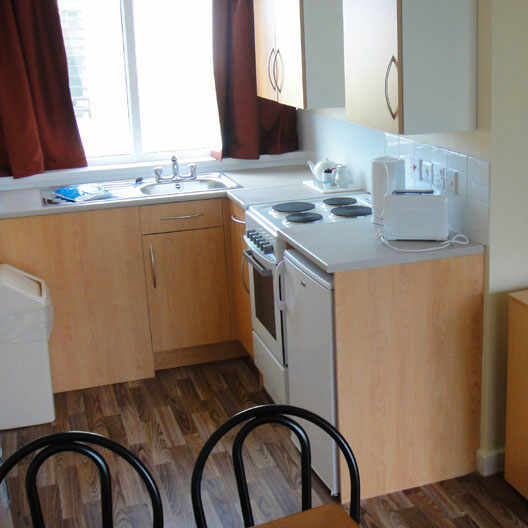 Club - The highest standard of Pontins accommodation in close proximity to entertainments and approximately 1 - 4 minutes walk to entertainments. (Options: K, L & M). 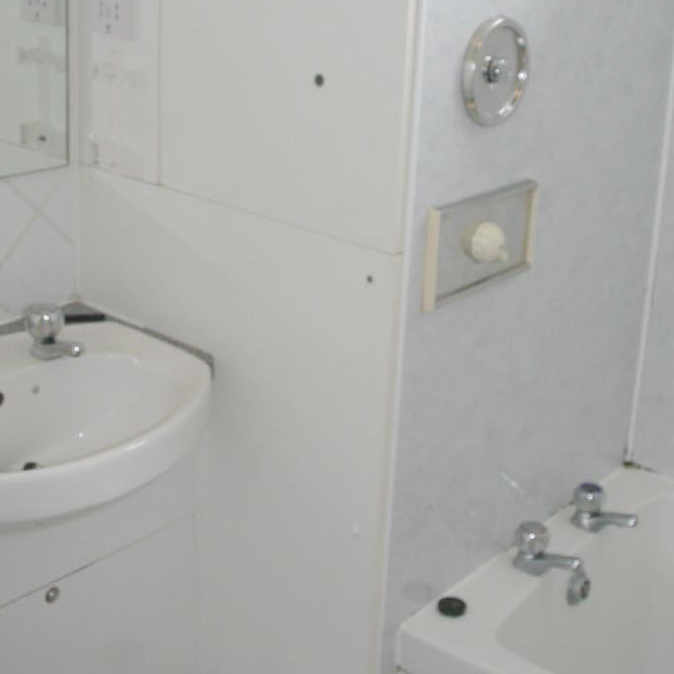 Apartments category are primarily based on Exclusive Occupancy. However, we do provide some options which are sold on ‘Share with a Stranger’ basis. This option is a W3. Occupancy is also determined by the size of the apartment and we have a range of either 1 bedroom catering for up to 3/4 people, 2 bedrooms catering for 2 people upwards to between 5-6 people & 3 bedroom catering for 3 people upwards to between 6-8 people. Also, remember, the greater the occupancy, the cheaper the per person price. In our higher standard apartment categories (Clubs), Electricity is provided FREE. (All other categories are metered and are operated by tokens which can be purchased from the Pontins main reception or at the security gates. (Note: Pontins DO NOT allow for any refunds of any unused tokens but of course these could be saved for your next event). The majority of apartments are situated on ground floor level except for Classic option B which are both ground and first floor levels. Apartment bedroom configurations vary considerably throughout the park with either 1, 2 & 3 bedrooms and within we have various bed configurations of either Twin, Double and Single + Bunk: (Note: In order to cater for more people than there are bedrooms, some apartments will have 2 Single Beds and/or Sofa Beds in the lounge (Note: Although Sofa Beds could sleep two people, we do not recommend this). In addition to the above configurations, ALL apartments are provided with bedding in the form of Duvets & Pillows Fillings ONLY. In terms of Bed Linen, Pontins DO NOT provide this. 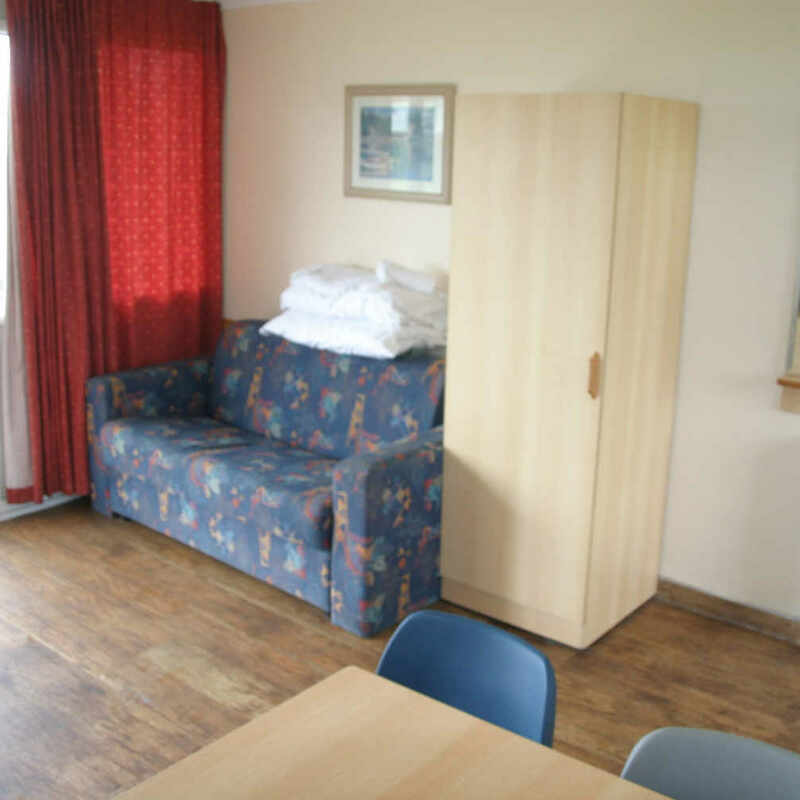 However, Bed Linen can be purchased from either the Pontins main shop or is closed from the main reception. Single is £5.00 and Double £8.00. 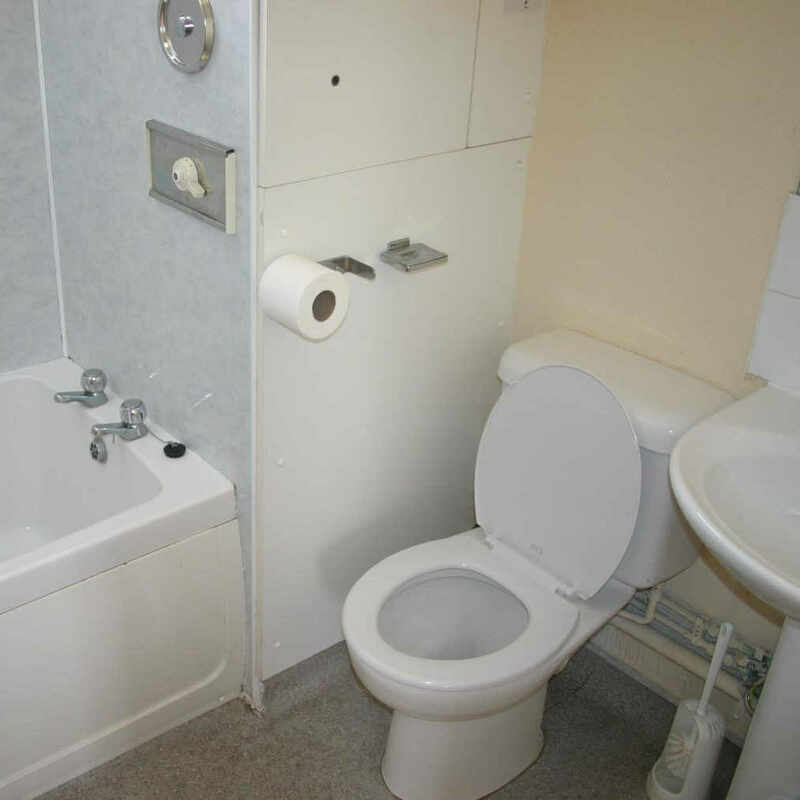 Budget - Configurations comprising of 1 bedroom: Twin (Option A). ONLY Duvets & Pillow Fillings provided. (Bed Linen NOT provided). Classic - Configurations comprising of 1 Bed: Double (Option B), Twin (Option C), & Single + Bunk (Option D).ONLY Duvets & Pillow Fillings provided. (Bed Linen NOT provided). 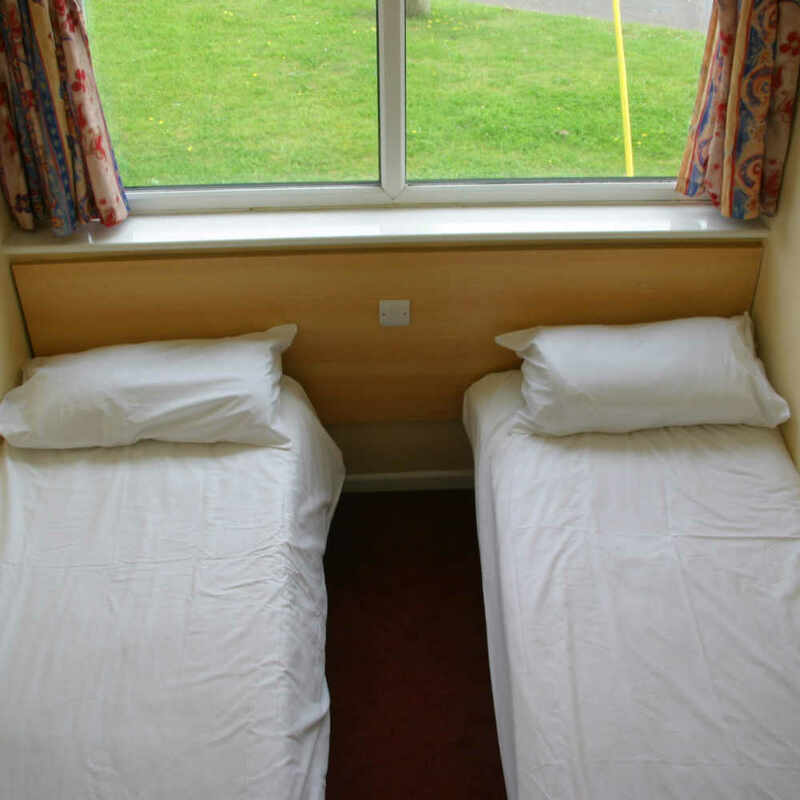 Classic - Configurations comprising of 2 Bed: Twin/Double (Option E).ONLY Duvets & Pillow Fillings provided. (Bed Linen NOT provided). 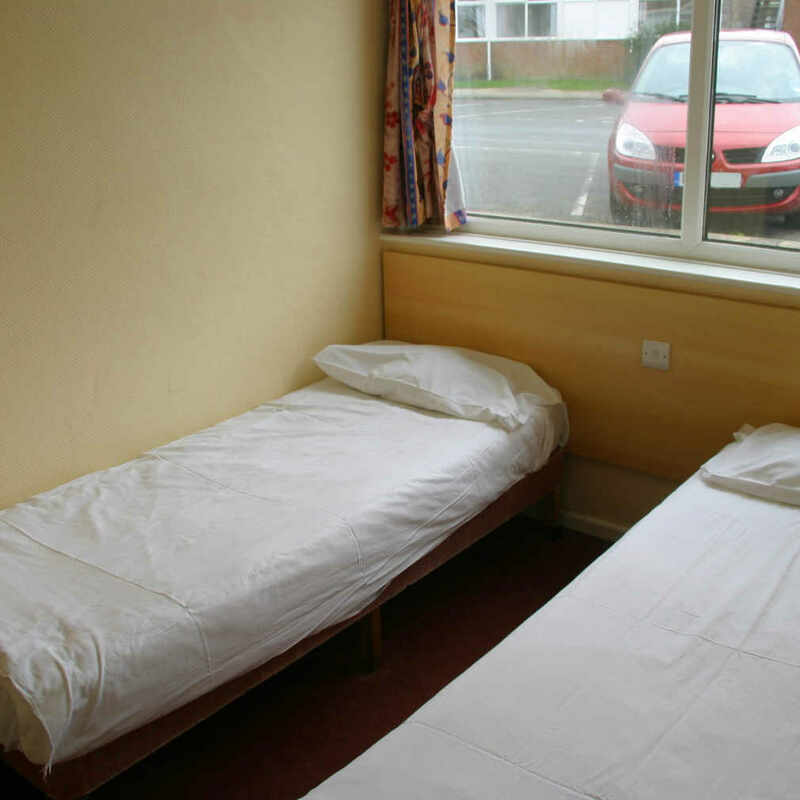 Club - Configurations comprising of 1 Bedrooms: Single + Bunk (Option L), Twin (Option K & M).ONLY Duvets & Pillow Fillings provided. (Bed Linen NOT provided). 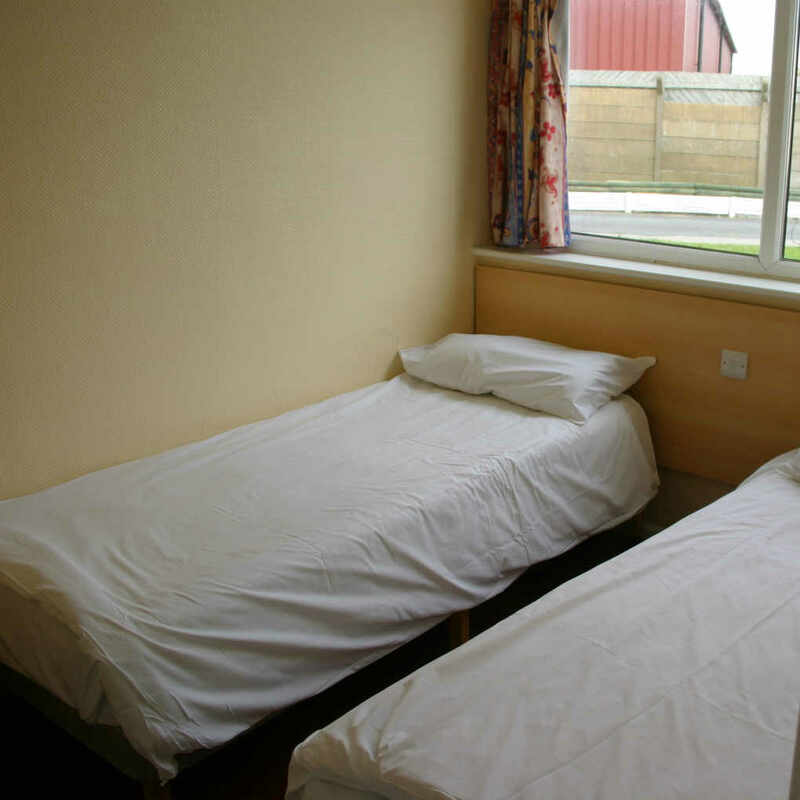 Club - Configurations comprising of 2 Bedrooms: Twin/Bunk (Option T), Double/Single (Option U) & Double/Bunk (Option V).ONLY Duvets & Pillow Fillings provided. (Bed Linen NOT provided). *Note: Classic Plus may be more expensive than some Club options. This reflects the location of the Classic Plus apartments in relation to the main Entertainment buildings. All apartments (except option B) have an a lounge which will comprise of a sofa bed or two single beds at right angles to form a lounge sitting area and there will also be a Iron and Ironing Board provided. All apartments have colour TV. In addition (except option B), the lounge incorporates a dinning area opening into the Kitchen. 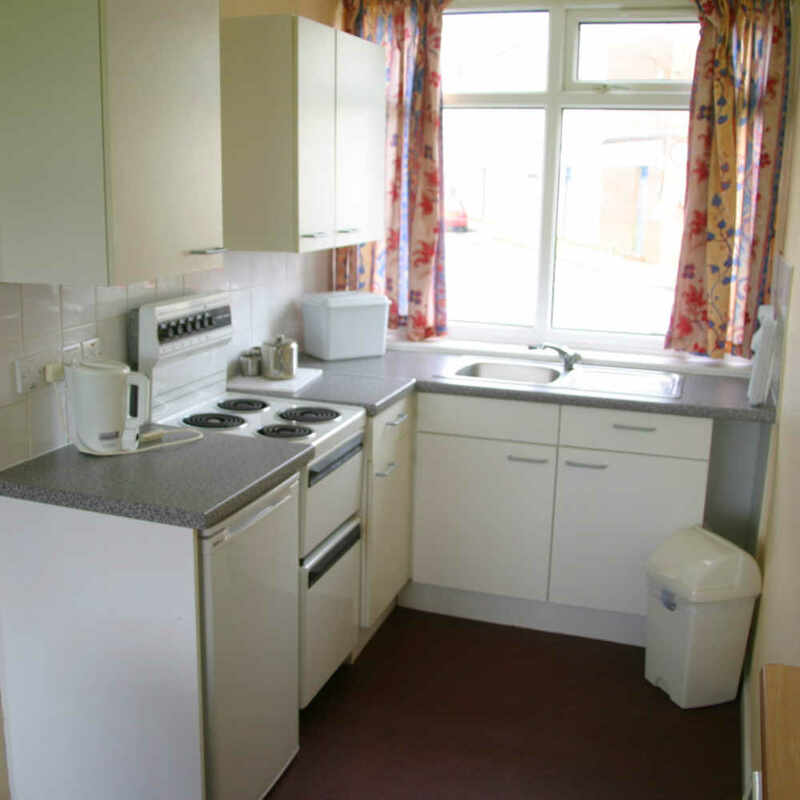 All kitchens are equipped with a Fridge, Cooker (Electric) and Microwave Oven. 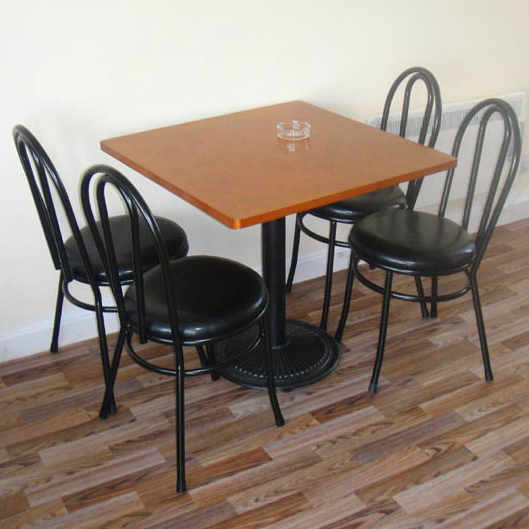 In addition, Cooking Pans & Utensils together with Tableware, Kettle and Toaster are also provided. Shower: Classic (C, D, E, F & W), Classic Plus (G, J), Club (T, U, V). 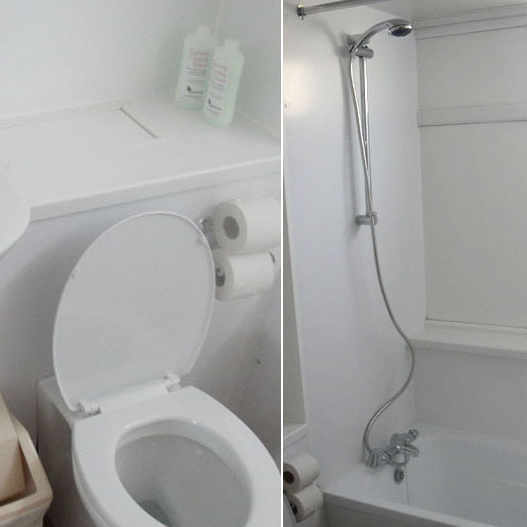 Shower over bath: Club (K, L & M). For full details, see intro section at top of page.